The Malaysia Tourism Awards 2012 / 2013 Dinner at the Grand Ballroom of the KLCC was held on the 20th February 2014 where a total of 48 prestigious awards were given out to the top tourism industry players. 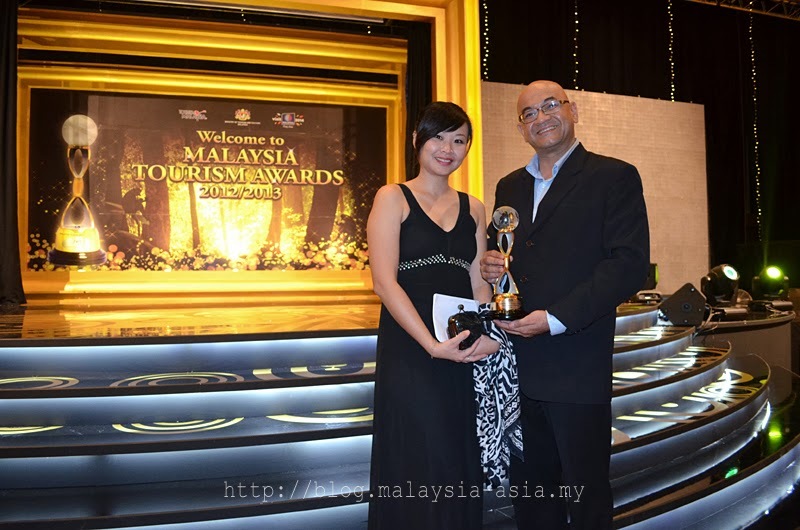 These tourism awards are also known to be equivalent to the Oscars of the tourism industry here in Malaysia where the awards are given to those who excel in the development of the nations tourism industry. As I have always been writing online for Malaysia Asia, I never had a chance to submit my work to these awards but in 2013, the Ministry of Tourism in Malaysia opened up a 'blog' category for the first time and thus I submitted my article for the specific category. This was back in June 2013 where I totally forgot about it as I have been frequently traveling around Malaysia and also Asia. An invitation came in mid January 2014 when I was on the road and it was to attend the gala dinner here in Kuala Lumpur. There was no notice about being a finalist or nominee but I replied 'yes' and went on with my daily work until two days before the awards where a final reminder was sent to me. 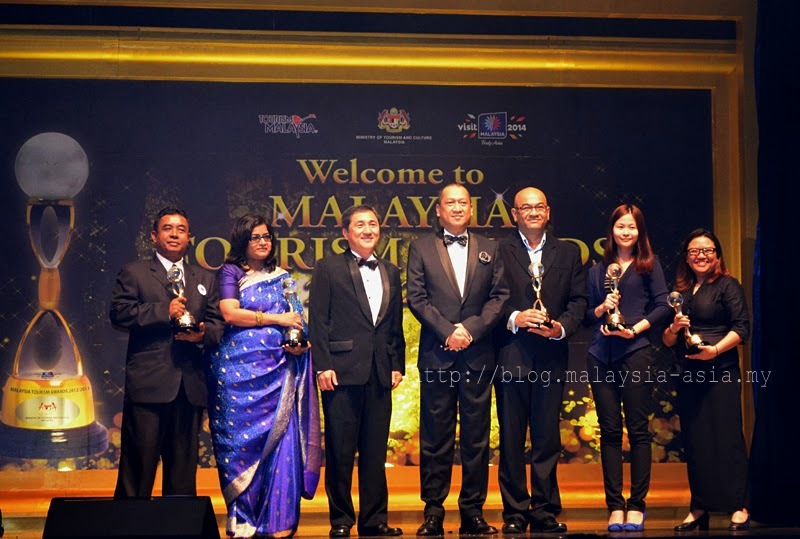 At the Tourism Malaysia Awards Dinner, the dress code was strictly black tie and for me, it was a rare occasion to be seen in a suit, but it felt rather good to be in the presence of everyone who was dressed to the occasion. A number of VIP's from the tourism industry were seen networking, socializing and catching up while some old friends whom I have not seen in ages were there as well. It was actually nice to attend a black tie function I thought as most of the time I would be the media. 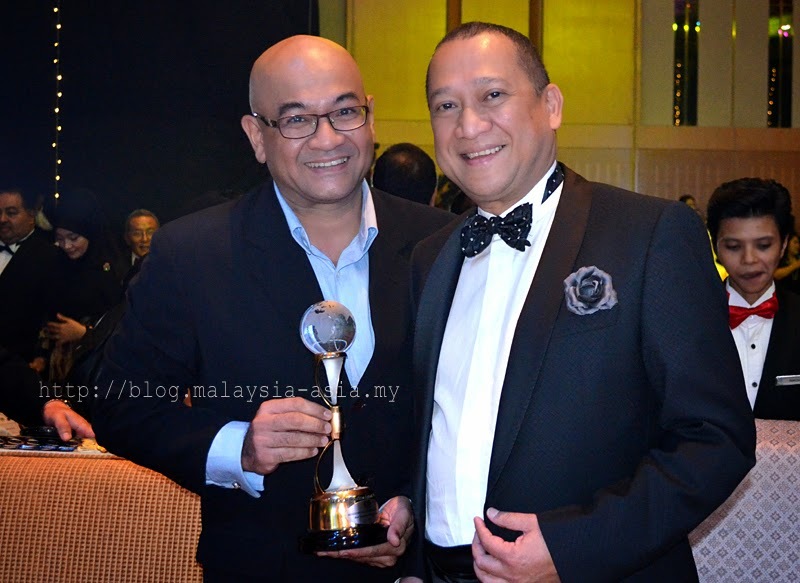 As the Malaysian Tourism Minister - Dato' Seri Mohamed Nazri made his entrance into the Rainforest themed hall, the MC for the night announced that the minister and the sectary general of the ministry of tourism would be on stage to hand out all 48 awards. The guests cheered on hearing that and immediately dinner was served. A western three course dinner was the menu for the evening which followed by a performance from Malaysian Idol - Jaclyn Victor together with the Tourism Malaysia dancers. Then the award presentation started. The first was the Best Homestay Award which was given out to the Sungai Sireh Homestay in Selangor. It then followed by a performance then another award category. When it reached the media awards, I started to feel the butterflies in my stomach. When they announced that in the media category, there were a total of 82 nominee's, I kind of lost hope as there were many talented writers out there, including many from the international level and seeing that they put up the Jury Merit Awards, I immediately told myself that there was no chance at all for me to win this. The winners were called one by one for best magazine, best English article, best Chinese article, then for Indian article, there was no winner and during that moment, I was busy cutting a piece of Charred Beef Tenderloin and putting into my mouth. As that precise moment, the MC announced for Best Tourism Article for Blog - David Hogan Jr for Malaysia Asia.... my heart sank and the butterflies all came alive. Immediately grabbing the napkin and wiping my mouth, I stood up and proceeded to the stage to receive the award. I then realised that the chunk of tenderloin was still in my mouth and I couldn't get rid of it thus I chewed as fast as I could while walking up. One of the most embarrassing moments in my life, I quickly swallowed what I could and by then I was in front of the tourism minister. I apologized to him for my chewing and shook his hand where the minister then congratulated me and led me to stand by his side for the photo opportunity with the award. Up on stage, I could not believe it that I had won this award. I was speechless, beyond awe, stunned and trying my best to hold a straight face while smiling. Janice my partner was down there with my camera taking photos while far at the back, I saw hoards of television cameras and photographers. This must have been the proudest moment in my life, receiving one of the tourism industries most prestigious awards which I have always dreamed of. And again, an odd moment when I remembered how I was chewing my way there. After the final recipient for the media category was called up, we then had a group photo on stage and I was still lost for words. Next to me was Esther Choi, who was the winner for Best Local Article in Mandarin whom I had not seen in almost a year. I congratulated her and proceeded to say thank you again to the minister and the sectary general before heading back to my seat. All appetite had gone, as I sat down with a lost face. Janice was equally stunned as well as we never expected this win. Friends came around to congratulate me while it took me the rest of the night to recover this amazing experience. As dinner came to an end with the final awards given out, a final performance was done before everyone started to leave. I met with old friends from Sabah Tourism Board and made some new ones along the way. It was indeed a surreal experience for me to win this prestigious award as I was also told that the panel of judges consisted of 59 judges! Finally, I would like to thank everyone who has been supporting me throughout the years (5 years to be exact), my family for their full support in letting me do what I am happy with. More importantly to Janice, who has been my partner and pillar of strength throughout our journey, my clients who have believed in my work and of course all my friends and readers out there. Without your support, I don't think I would have come this far and I promise that I will continue to do my best in this field of work of digital tourism. 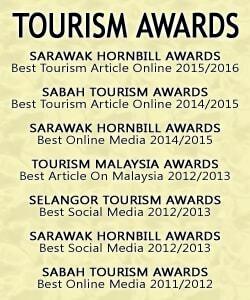 A huge thank you to the Ministry of Tourism and Culture, Malaysia and Tourism Malaysia for the Best Tourism Article for Blog Award. Congrats David. How awesome to be recognized in such a fashion and well deserved.